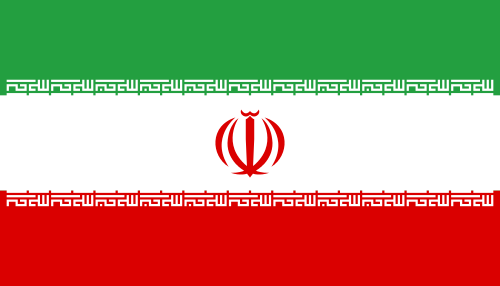 Get to know more about the Iran team participating in the 2013 FIBA Asia Championships. Qualification: Clinched the championship in the 2012 FIBA Asia Cup in Tokyo, Japan, beating India, Qatar, Taiwan, Japan, and the Philippines. Last FIBA Asia Appearance: 2011 – 8 wins & 1 loss – Beat Qatar, Uzbekistan, Taiwan (twice), Malaysia, Lebanon (twice), and South Korea, but lost to Jordan in the quarterfinals. 1. Samad Nikkhah Bahrami – Bahrami was bothered by a bum knee last year, which kinda slowed him down a bit in the 2012 Jones Cup and 2012 FIBA Asia Cup, but he has healed up and should be in full strength when the tournament opens. He normed 22.6ppg, 5.1rpg, and 1.5spg for Mahram Tehran in the Iranian Superleague just this year, and he will surely bring that same kind of firepower to the FIBA Asia tourney. 2. Hamed Haddadi – Haddadi is undoubtedly going to be the most imposing inside presence in the whole tournament. The former Memphis Grizzly and Phoenix Sun knows how to use his heft well, has a decent midrange game, and just looks plain scary. Should be interesting to see how he performs in his early match-ups with CHN’s Wang Zhizhi and KOR’s Kim Joo-Sung, and I won’t be surprised if Haddadi leads the tournament in several stat categories like scoring, rebounding, blocks, and maybe even steals. He’s just on a tear lately and I doubt anybody can stop him in his current state. 3. Mohammad Jamshidi – Jamshidi is one of the cagers I am really excited to see, since he plays very similarly to Bahrami. I mean, imagine Bahrami sitting down and someone much younger possessing the same skill-set comes in. Despite coming off the bench, however, Jamshidi has the talent to make a significant contribution on each game, and I expect he should be Iran’s top wingman in a few years or so. Redeem Team – Bitter memories from their shock quarterfinal loss to Jordan in the 2011 Wuhan joust probably still haunt Team Melli, but this team of coach Memi Becirovic is eager to prove that was just a fluke and that they are slowly getting ready to climb back up from fifth place to the top three. The absence of NBA draftee Arsalan Kazemi might even be a blessing, as coach Memi stresses team chemistry as a big factor in his past teams’ success.